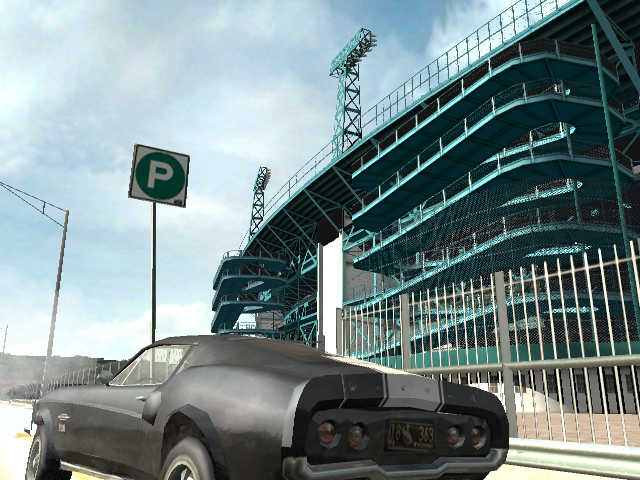 Our leading man, Tanner, returns in Driver 3, or Driv3r, on PS2 to bust a ring of car thieves. The game starts out with a couple of cut scenes and eventually, the player takes on missions to complete both inside and outside of his/her vehicle. One of the best ways to describe it—for those familiar with auto racing and fast-action missions such as Grand Theft Auto—is like playing the character of an undercover and yet dirty cop against a bunch of bad guys. There’s a web of backstabbers, double-crossers and shady acquaintances to make it through and deal with. Most of the game is about chasing or tailing other vehicles, leaving you without an option but to accept mission after mission. There’s a map to guide you from one objective to the next, allowing you to cut your own path during each assignment, but once you’re given a new mission and you have to go undercover again, the paths are set for you and you’re left without a choice but to follow them. The game has many on-foot quests but after a few chases here and there, you’ll want to be behind a wheel as soon as possible. Once you’re back in, however, you’ll be driving through endless paths with cement walls through which enemies will be shooting at you non-stop. Your very first mission is a training session meant to get you used to the game’s controls, but the enemies aren’t even worth the trouble to shoot at—they just hold still in one place or move around in circles if they’re scripted to do so. The difficulty changes as you progress through the game but it’s very random; from a simple shoot out with enemies that don’t move around much nor get behind cover, you find yourself being gunned down by dozens of bad guys. In other cases, there are no checkpoints to get to in order to move on from one mission to the next. In terms of graphics and audio, Driv3r is a mess. 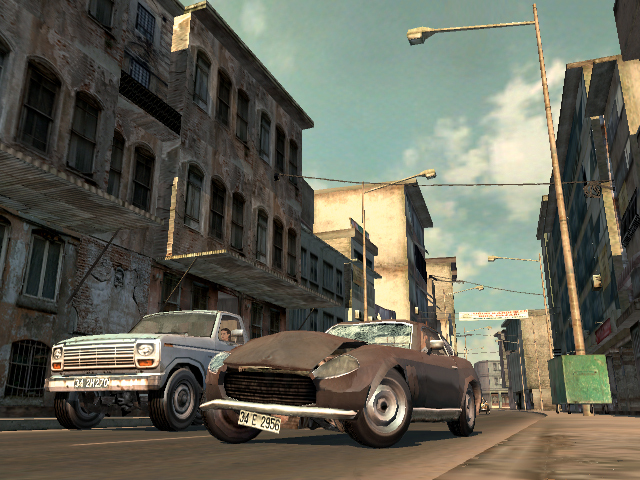 Compared to other games on PS2, the textures of Driv3r are lifeless and flat. The graphics are just not designed for the kind of action that newer generations of players want to be acquainted with. For a game that was designed for next generation consoles like PS2, Driv3r looks too sloppy and the audio is far too unrealistic. the previous Driver games had the option of a Replay system where players can catch glimpses of the mission but in Driv3r, you will end the mission if you try to see a replay of anything in the middle of any action.